The real estate market is cursed to be optimistic. No matter what changes happen and come into view, real estate agents and investors need to focus on the bigger picture, since current evolutions are not the only tale telling signs they should keep in mind. The housing market in Phoenix has known tremendous changes since the housing bubble, and the signs of recovery are there. Here are some of the most important factors that are now shaping the real estate market in Phoenix. After the failure of the suburban dream, caused mainly by the fall of the housing market, accompanied by gloomy foreclosures, it is probably a good thing that most states in the US are focused now on becoming more urban. Phoenix is no exception to the rule, and the recent evolutions show that this market aims at becoming urban oriented. Large malls are replaced by food courts, and charter schools take the place of enormous stores, giving families plenty of reasons to consider a neighborhood over another. The number of people in an area is bound to have an important effect on the housing market. Phoenix is not doing particularly well in this aspect, as the population has known an important slowing down, compared to other cities in the US. This is something that must be faced at some point. While owning a home has been considered the American Dream for decades, the new generations are re-evaluating their priorities. In Arizona, only 65% inhabitants own homes, down by 10% from the times when the housing bubble happened. About 36% of Arizona inhabitants prefer to rent instead of purchasing a home. While they do remain potential buyers, chances are this percentage is going to maintain over the following years. As long as these customers do not find the perspective of owning a home a preferable one, they will continue to rent. Another important change in the Arizona real estate landscape is related to the decrease in income. The median income is down from 51,000USD to 48,000USD. As expected, people who earn less will consider lower priced homes, or they will just prefer to rent. 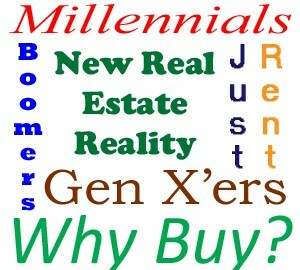 The next generations will dictate what happens on the real estate market in Phoenix. According to statistics so far, millennials prefer to marry 4 years later, and they also have fewer kids, from 2.1 to 1.93, to be exact. Another aspect to keep in mind about millennials is that they are mostly underemployed, although they score higher in numbers of people with college degrees. Taking all these aspects in consideration is important for foreseeing what will happen to the real estate market in Phoenix over the course of the following years. A consolidated market will have different rules and agents who want to survive in the shaping environment must take them all into account.